Badminton can be played one on one or in pairs which makes it such a versatile way of exercising and it is such an enjoyable activity to take part in for all ages. From being introduced to the sport at school to practicing your skills in the gym or recreationally at home, you are sure to get a great level of satisfaction out of the game, and we are here to give you the low down on the two main ways you can play badminton. Throughout this article we will investigate the differences and similarities between the two ways of playing and help you to identify which you would prefer to practice. Progression is very highly sought after in badminton as playing professionally could eventually earn you a spot in the Olympics. When the Summer Olympic Games begin, a lot of attention falls on the track and field athletes, especially the fastest runners — but perhaps the most-watched sport every four years isn't on dry land, but in the water. One only needs to look at the popularity of figures such as Michael Phelps to see that swimmers and the dedication they pour into their athletic ability commands respect and thrills the imagination. The non-disabledathletes competing in toughraces to the finish line against each other and the clock aren't the only ones getting their feet wet during the Games, though. Right after the conclusion of the Olympic Games proper, the Paralympic Games kick off with their ownopening ceremonies. Understanding Paralympic Cycling: How Does This Intense Competition Work? At the competitive level, cycling is perhaps one of the toughest sports out there due to the level of physical conditioning necessary to succeed. That is why races such as the Tour de France receive so much attention and acclaim. For amateur cyclists, the Olympics provide a path to competition that allows them the opportunity to test their skills against tough opponents in the context of international cooperation. However, the able-bodied racers who show up every four years to hit the road and the track aren't the only ones hungry to compete for medals. Shortly after the conclusion of the "main" Olympics, the Paralympics begin in the very same arenas. Cycling is one of the more popular sports at the Paralympic Games, and draws athletes with a wide range of physical abilities, from those with limited sight to athletes who use uniquehand-powered bicycles. The World Cup is right around the corner—yes! That’s right, it’s just not the one you might think! While 2018 also saw the latest edition of the FIFA World Cup for association football played out on the world stage in Russia, it will also see the recurrence of some of the sporting world's other major tournaments. One of those will be the Women's Hockey World Cup, slated to take place this year between 21 July and 5 August. It’s no ice hockey tournament, either — it's the raw power and sheer finesse you can only find on display in the world of field hockey. Every four years, the Summer Olympic Games treat us to the thrills and the stories that define the highest level of amateur athletic competition in the world. From the swimming pool to the field and the racetrack and beyond, many thousands of athletes come together in one place to put themselves to the test and to "go for gold" under the flag of their nation. After the closing ceremonies and the prime-time TV coverage ends, though, that universalspirit of competition doesn't immediately fall dormant for another four years. Instead, it transitions into its second phase: the Paralympic Games. At the Olympics, we only have the opportunity to see able-bodiedindividuals competing — what about all the many skilled athletes around the world who approach the challenge with a different set of abilities? Swimming is an essential skill, and it is one that is best taught early in a child's life. Swimming is not only a fun way for them to burn off energy and splash about in warmer weather; the knowledge of how to handle oneself in the water can be life-saving in certain circumstances. For that reason, many parents choose to enrol their children in swim classes as a quick and easy way to equip them with this vital ability. What if you want to play a largerrole in the way your child learns how to swim, though? When the summer holidays arrive, andthe weather heats up while more people take time away to be with their families, recognise that now is the perfect time to start acclimating your kids to the water. Football is a widely supported sport across the globe, and is even referred to as Soccer in different countries. Most young children will find themselves drawn to the game and long to give it a go. Although, some aspiring fans can be much older when they take an interest in the sport and it is still possible to take it up with your local club. When it comes to playing football as a team, there is a range of positions which you can choose from. Depending on your skill set, you may find yourself siding more towards a certain role on the field. But to find out more about the position itself and the requirements to fit the post, we have put together this article discussing each role and all about them. Road bikes are always a popular purchase, but when it comes to investing in the best quality goods for your budget, it becomes a difficult task. Within this article we will explore a variety of bicycles that slot into price ranges such as under £1,000, £1,000 to £3,500 and over £3,500. 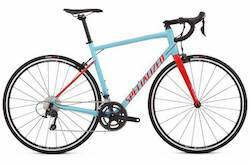 Whether you are after an affordable or high-end style road bike, we have covered a range of equipment that have been launched recently by their manufacturers. What is Barre Fitness, and Why Do So Many People Love This Workout? Sometimes, it can be challengingto keep track of all the many fitness fads, crazes, and classes that are out there — especially when they all have unique names. From Zumba and Peloton to Pilates and more, there are tonnes of classesvying for your attention. In your daily commute, have you noticed locations which advertise themselves as "barre studios"? Perhaps during a visit to your gym,you saw such a class advertised and wondered: what is that all about? It can get your curiosity up, especially when you start to hear things about how it involves training your body like a ballerina. How could that be a gateway to better physical fitness? The mysteries of the ocean are captivating and exploring the underwater world is always top of wanderlust travellers bucket lists. Discovering what lies beneath the sea has hundreds of amateur and professional divers flocking to the beaches across the globe to have a look. With this in mind, we have put together this article to cover the must-know information for those who wish to take up this adventurous activity. Whether you are new to diving or are a seasoned professional, you will find this post interesting and informative on the sport you hold so dear.